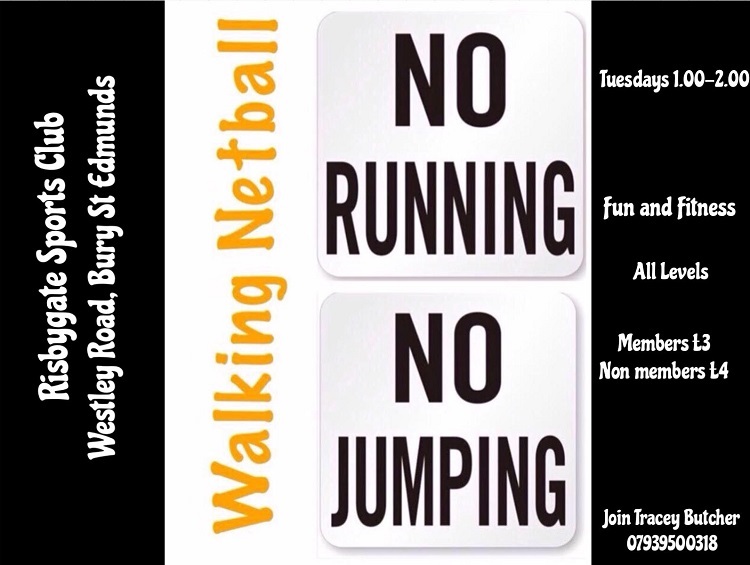 Walking Netball is growing in popularity and the introduction of the sport at Risbygate Sports Club in Bury St Edmunds has really raised the profile with more and more people wanting to join in. It has now caught the attention of ITV Anglia Sports reporter Donovan Blake who visited the club this week to report on how the sport is developing so much interest. Donovan and his camera man were introduced to the club President Bernie Millard and the players some of which were enjoying the sessions for the very first time. “They enjoyed the club hospitality and even stayed for tea”, said Coach Tracey Butcher. Due to increased demand walking netball has now arrived at Risbygate sports club in Bury St Edmunds. Tracy Butcher started her walking netball classes at 1pm on Tuesday 25th September with the first session free. This low impact sport is great exercise with a good social gathering and can be played by all ages. Come along and give it a try we know you will enjoy yourself and feel better for it. Easy parking with excellent club facilities. For further information call Tracy on 07939 500318.